KAMPALA – Early last month, Post Bank Uganda started internal investigations into abuse of office by nine senior managers. Those implicated included the General Manager Finance, Jackson Mwesigwa who is accused of syphoning billions of shillings from the bank. Results from the yet to be released probe by the internal auditors reveal abuse of office and thus recommended that Mr Mwesigwa and eight others be suspended for a month, to pave way for a more comprehensive investigation. The suspension letters were dished out towards the end of last month. But Mwesigwa, who had served Post Bank in various capacities for about 14 years and built an aura of invincibility, was not going take it lying down. According to a reliable source, he vowed he was not ready to go down alone. “There is room to believe the statement meant he would move to tarnish the image of the bank, using his fat financial chest”, the source told this website. Since their suspension, Mr Mwesigwa has been moving around several offices, seeking for help, to get back at the bank, even before the final result of his investigation is out. And in doing so, he wants to turn tables and focus attention to the management of Post Bank, rather than himself and his suspended colleagues. Col. Nakalema met with the managing director Mukweli and other top managers including the Executive Director. 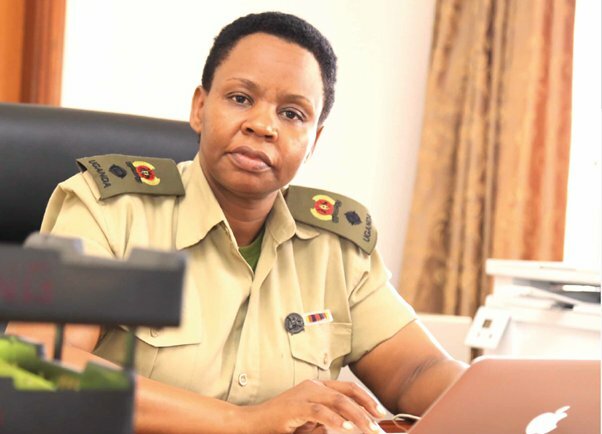 During the meeting in the bank’s boardroom, Col. Nakalema read out allegations of abuse of office, sent by a whistleblower now believed to be one of the suspended nine. However, Col. Nakalema didn’t take interest in the accusations against the suspended nine officials. She also had among other allegations, charges dating as far back as 2008 to 2010, this website has learned. Blogger Titus Seruga, known for his investigative posts posted on Monday that BoU wants to trigger another run on a bank like was the case in Crane Bank. Many commentators believe if there’s anything at PBU that needs attention, Bank of Uganda should be at the frontline and doing so professionally given the nature of the business.